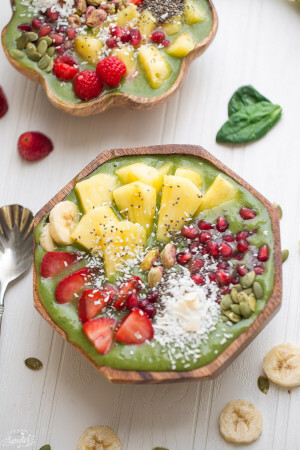 Smoothies and smoothie bowls are my favorite ways to start off the morning…especially after a weekend of too much food. We’ve had visitors staying over with us for the past few weeks and although it’s been busy busy busy, we’ve had the best time just getting to catch up and watch our kiddos play together. 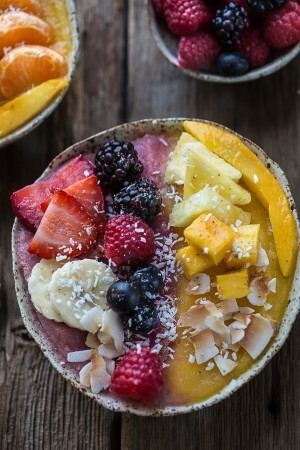 With the high temps, none of us have really felt like having a hot breakfast so it’s been smoothie bowls to the rescue. 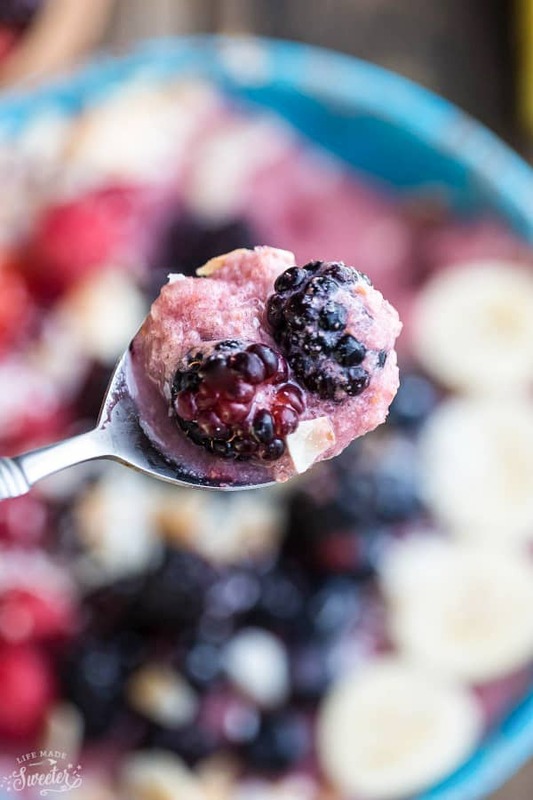 This Mixed Berry Detox Smoothie Bowl was one of the many that are usually on rotation at our house. It’s super simple to make and packed with antioxidants and immune-boosting ingredients. Plus, it’s vegan, dairy free and has no added sugar. You can totally add a sweetener if you like though and swap out whatever fruit or toppings you have on hand. 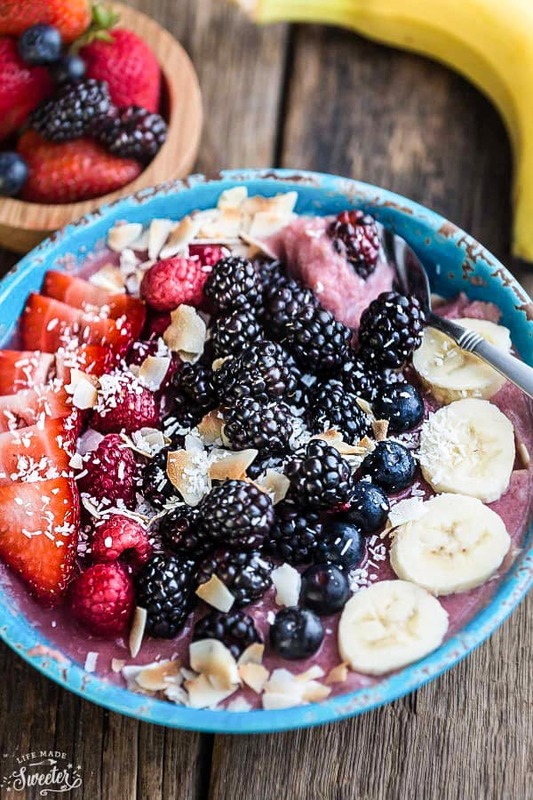 I can’t get enough of all the yummy fresh berries lately and love piling them on our smoothie bowls. These make the perfect healthy breakfast or refreshing midday snack to enjoy when you need an extra kick of energy. 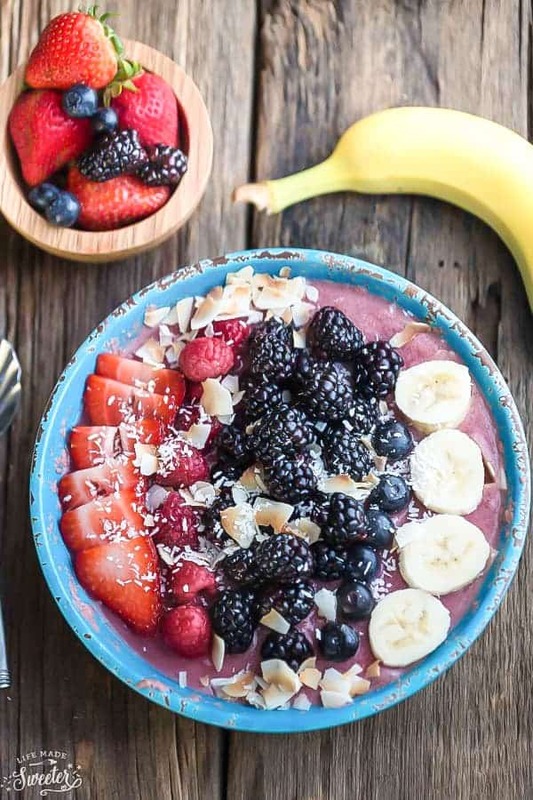 Mixed Berry Detox Smoothie Bowl - the perfect healthy way to start the day! Best of all, it's so easy to customize using your favorite berries & greens. Place all the ingredients in a high speed blender in order as they appear. Blend until smooth, adding additional liquid as needed. (As little as necessary so your smoothie will be thick). Taste and add sweetener of your choice, if desired. Blend again. 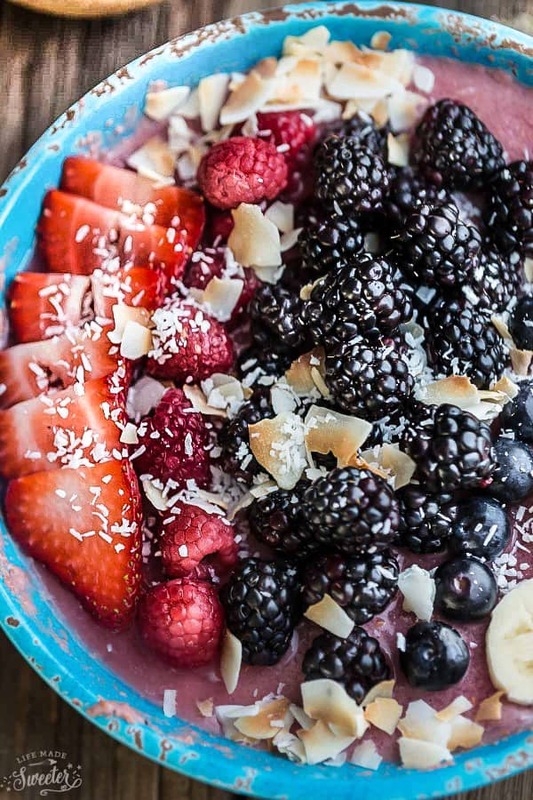 Pour into bowls and top with your favorite mix of fruit, coconut flakes, shredded coconut and or chia/hemp seeds. *I don't usually add any sweetener as I find the berries, cherries and banana are sweet enough but you can definitely add raw honey or maple syrup if you like after tasting it.